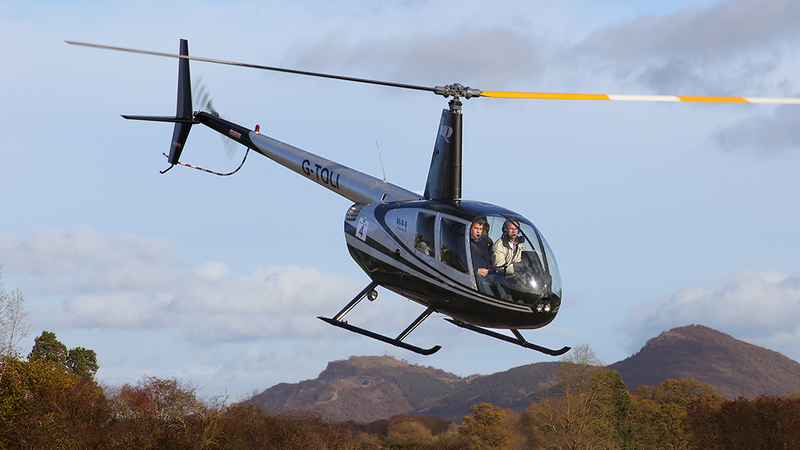 Over the bank holiday, our favourite photographer has been taking photos of our residents and visitors, including a beautiful new helicopter for Potter Group. 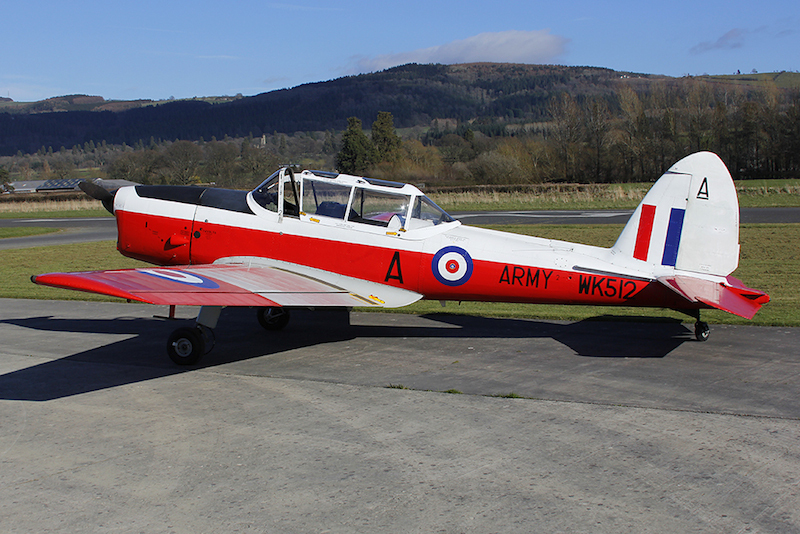 G-BCSL - The faithful old DHC-1 Chipmunk, this aircraft was built in 1951. 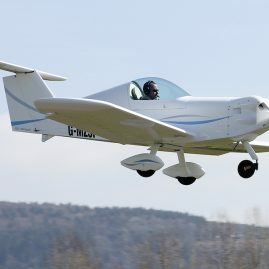 G-CFFJ - Flight Design CTSW. 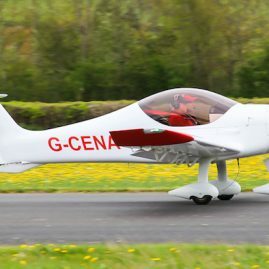 G-CENA - Dyn' Aero MCR-01 ULC Bambi. 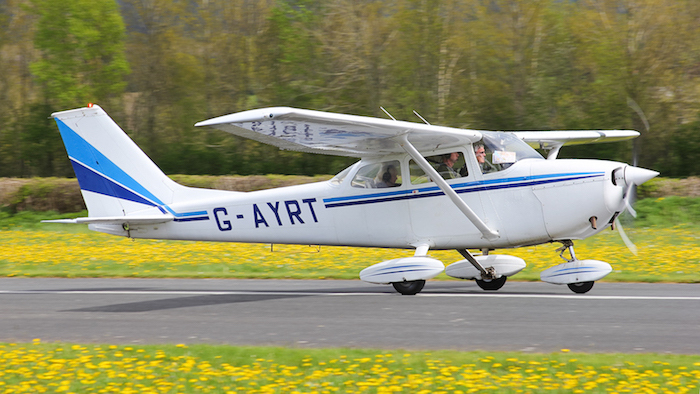 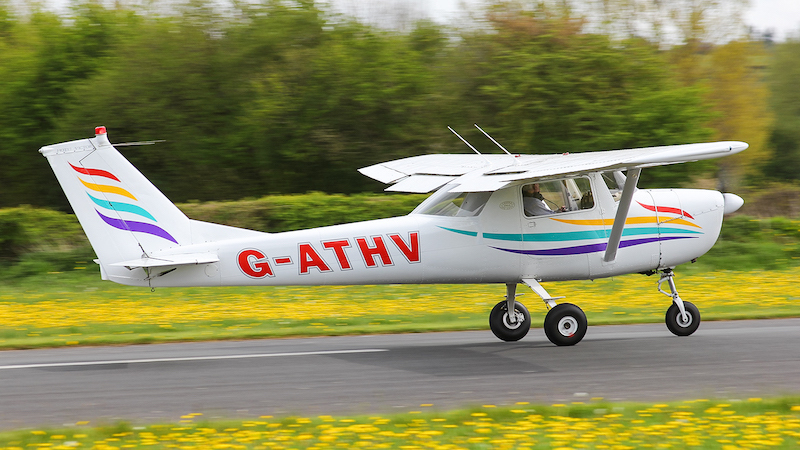 G-AYRT - Reims/Cessna F172K Skyhawk. 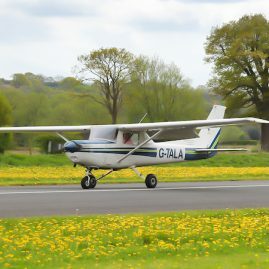 G-BAJO - Resident, American Aviation AA-5 Traveller. 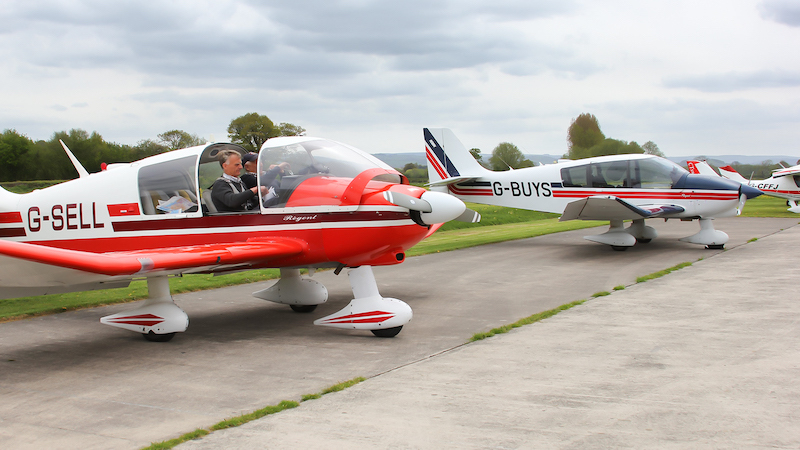 G-BUYS & G-SELL - These two Robin DR400 Regents could have a lot of fun flying over the City. 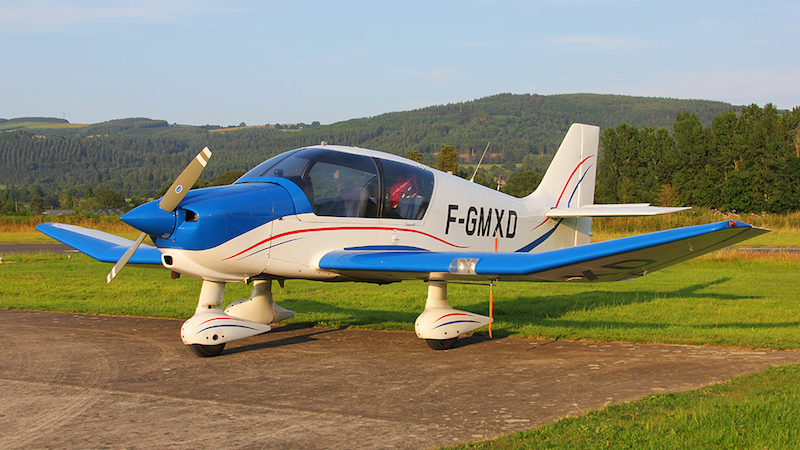 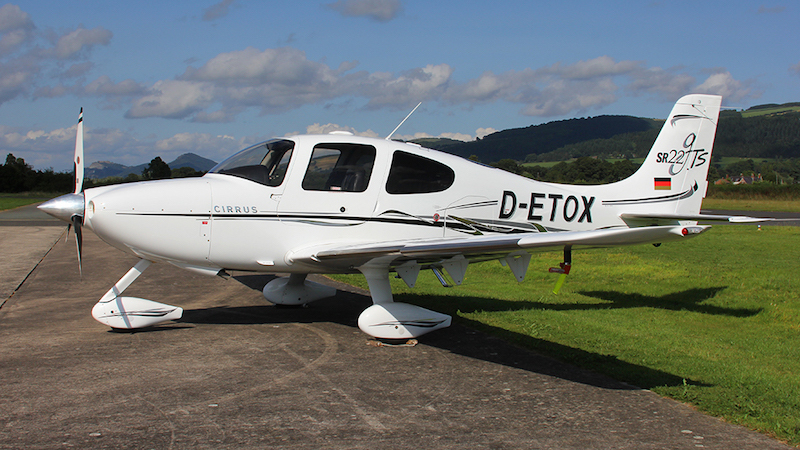 G-COXI - Xtremeair XA42, G-COXI. 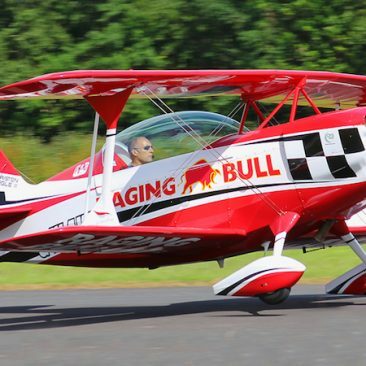 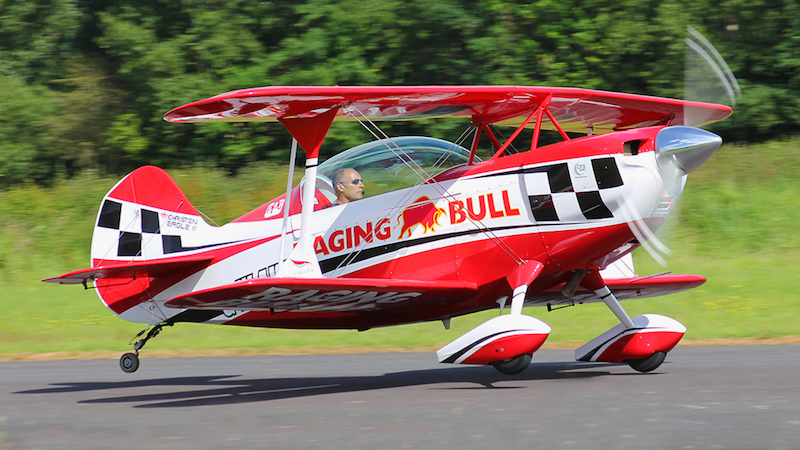 Aerobatic trainer and competition. 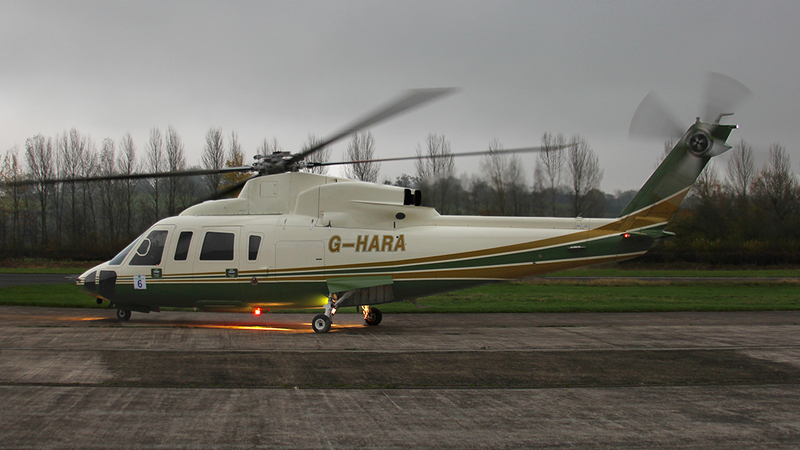 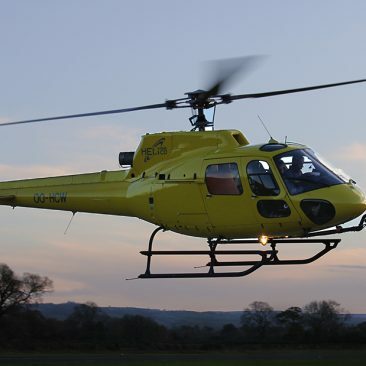 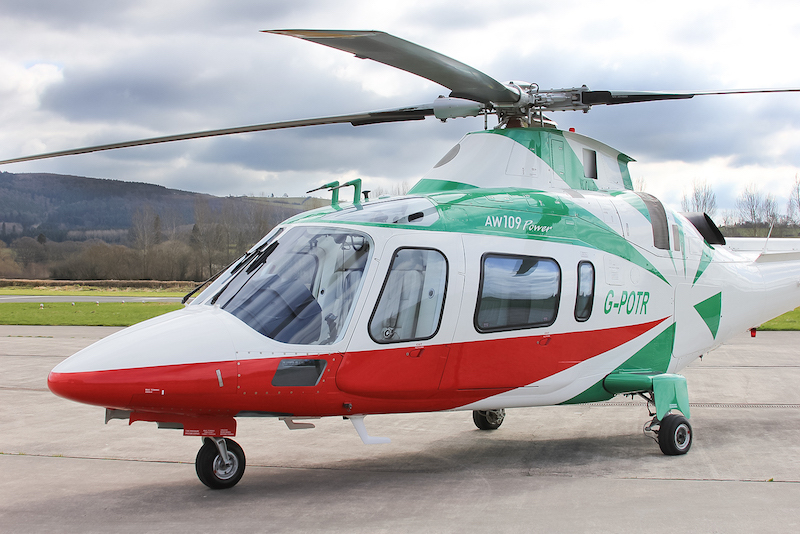 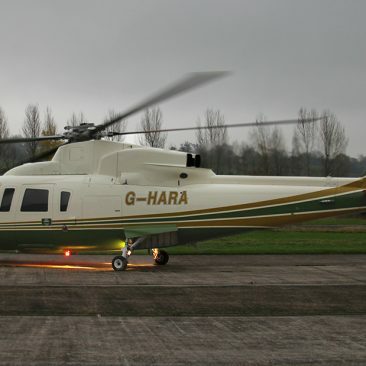 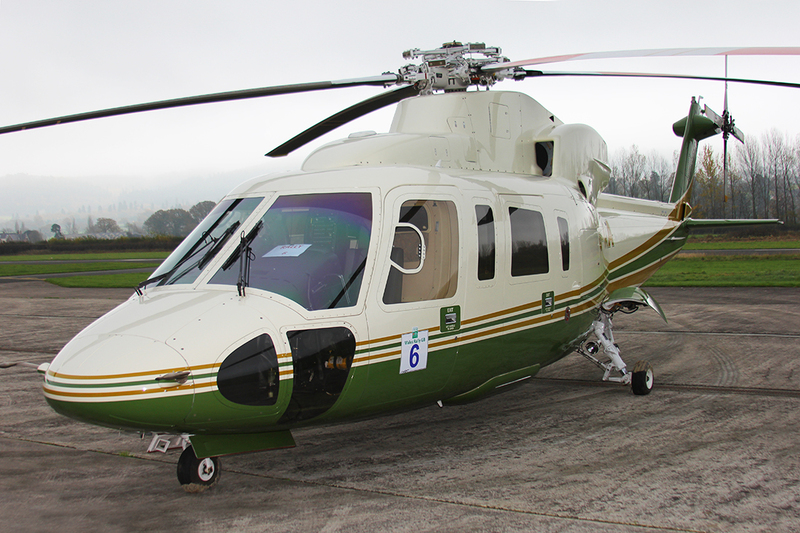 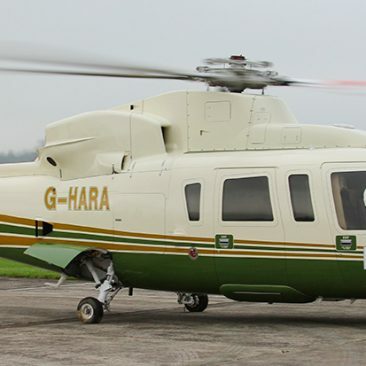 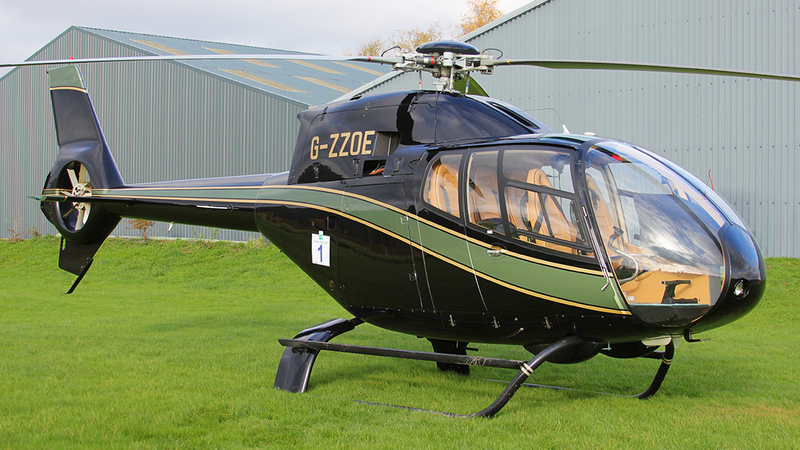 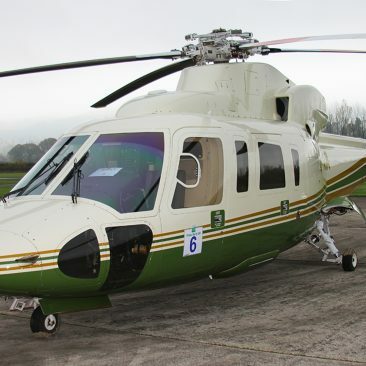 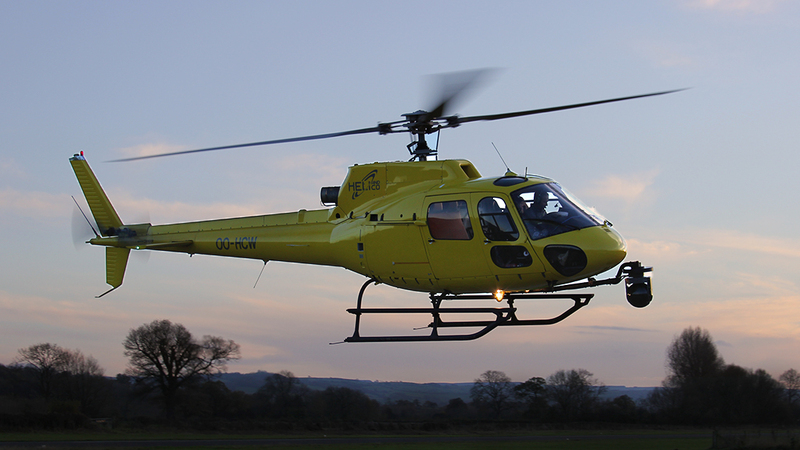 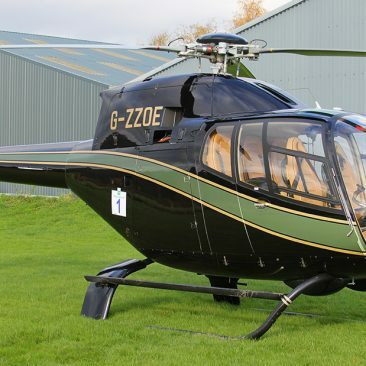 G-POTR - Welshpool based Potter Group, became a new operator of an Agusta A109E Power, with a very appropriate registration. 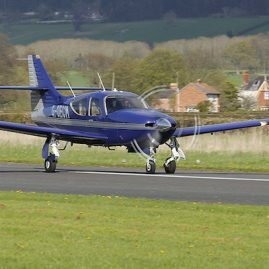 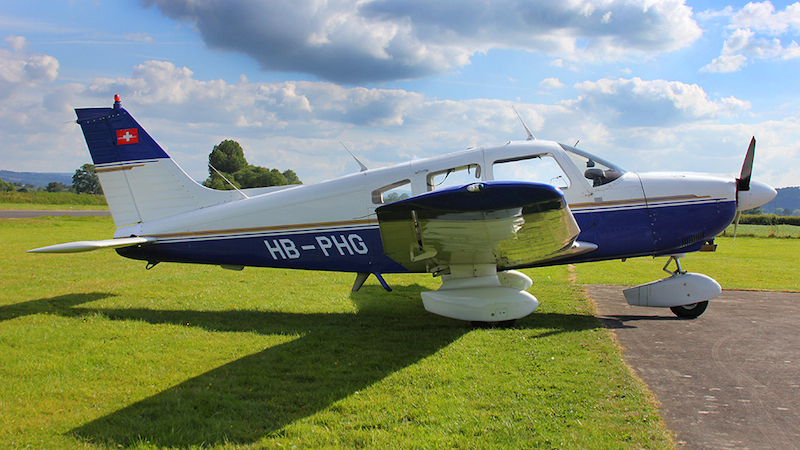 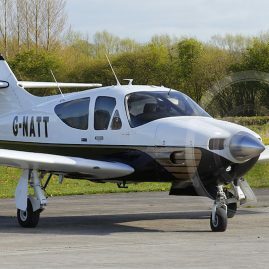 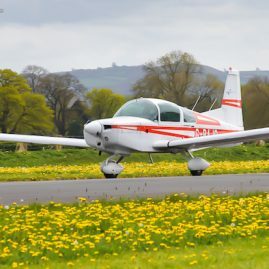 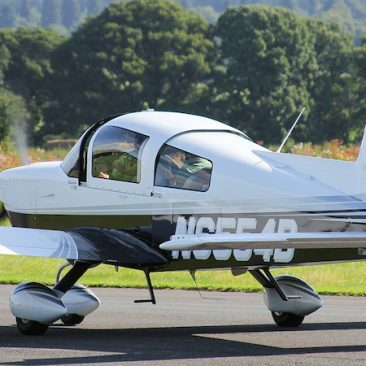 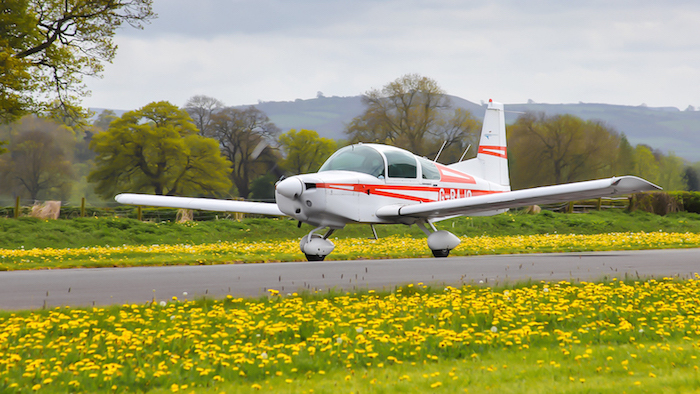 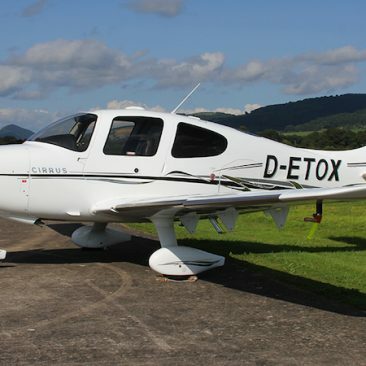 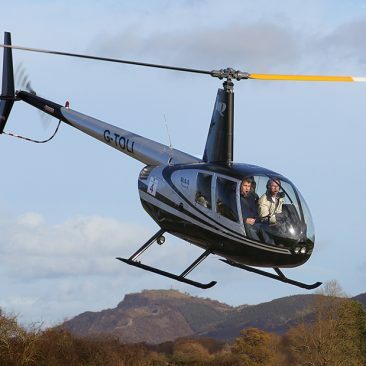 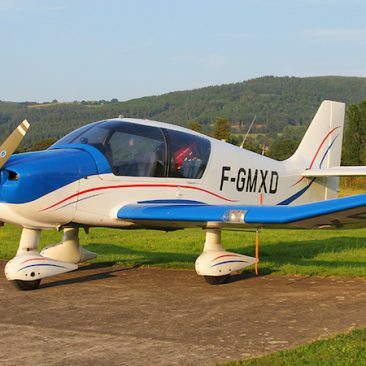 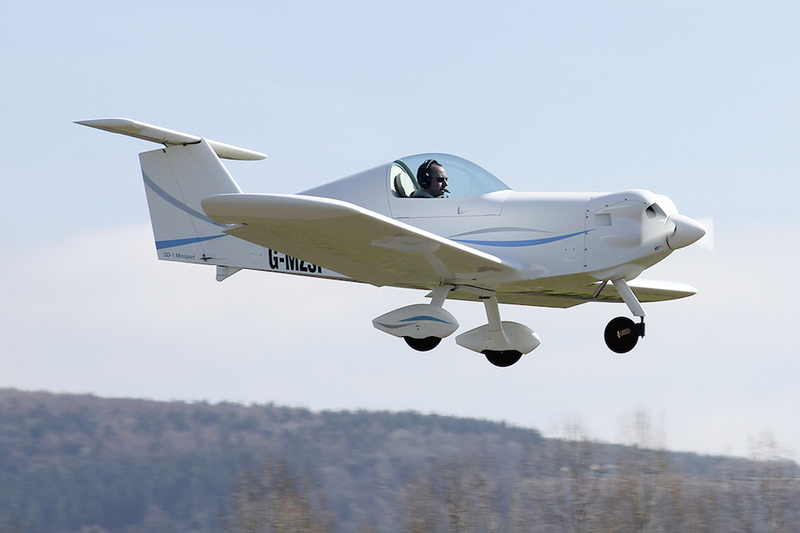 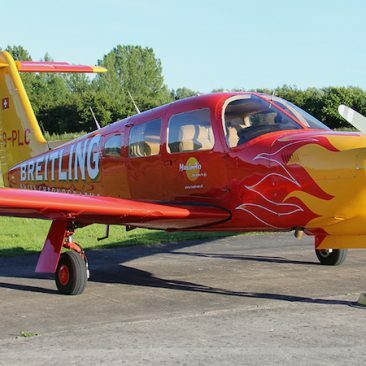 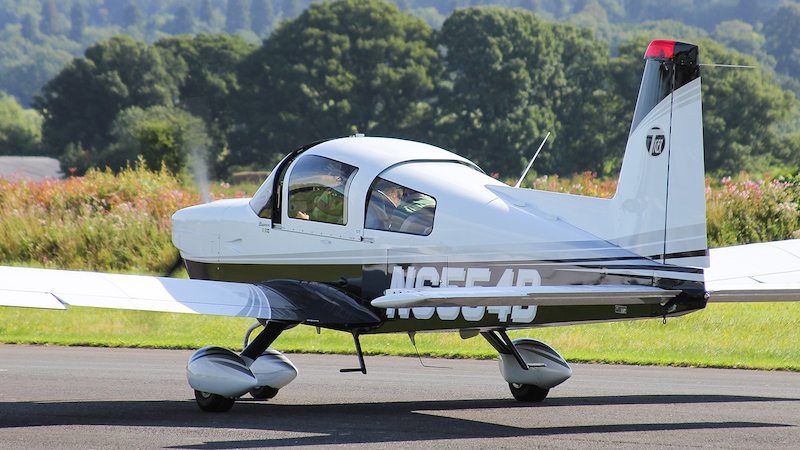 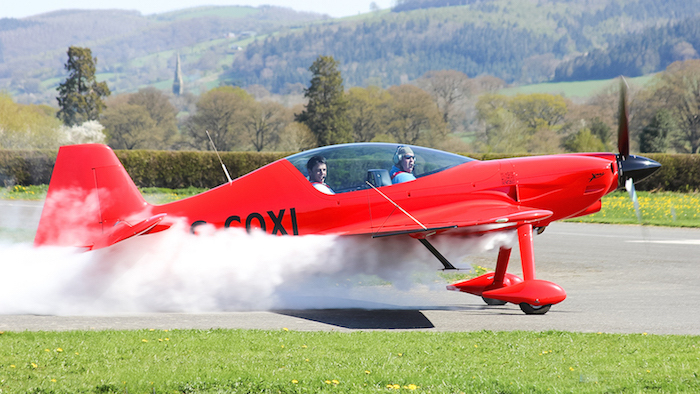 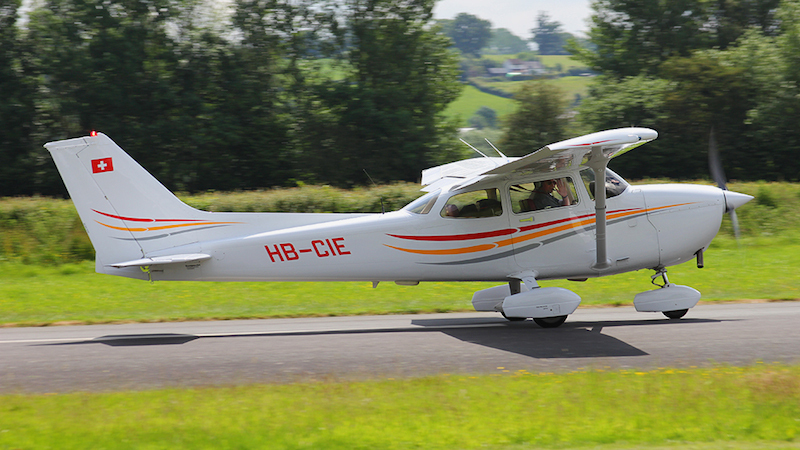 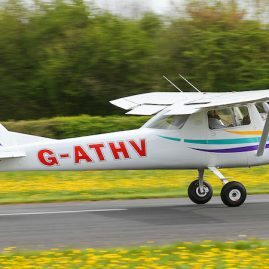 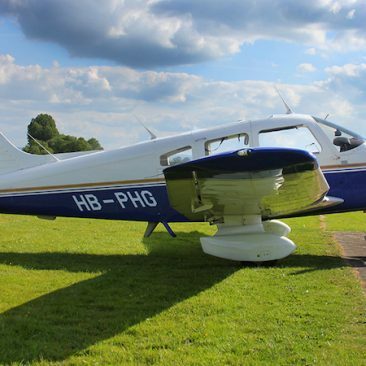 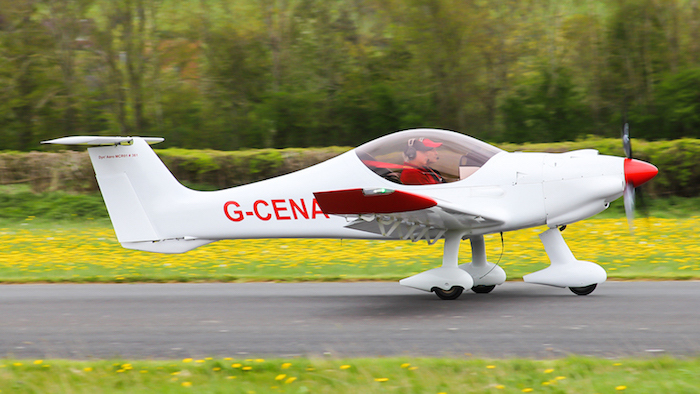 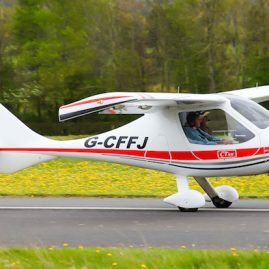 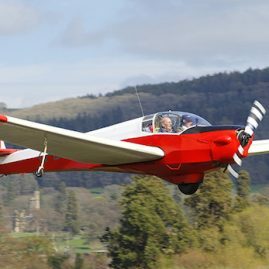 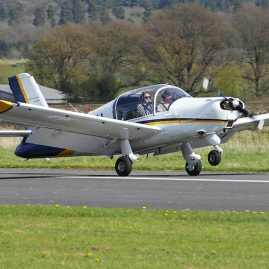 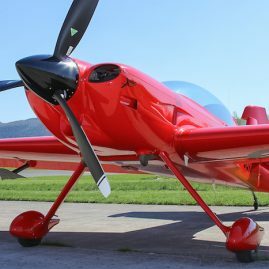 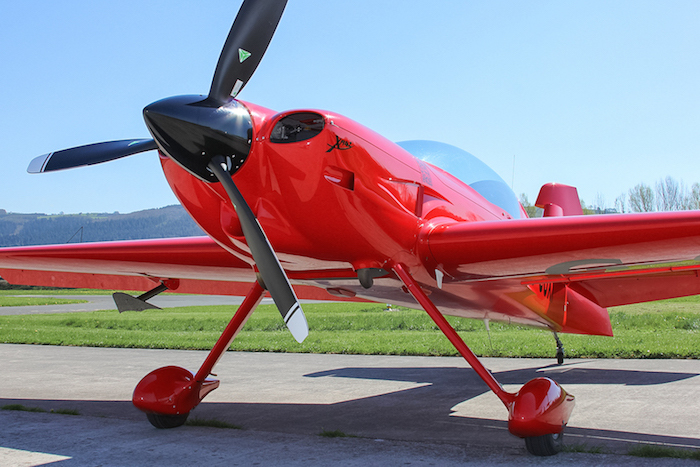 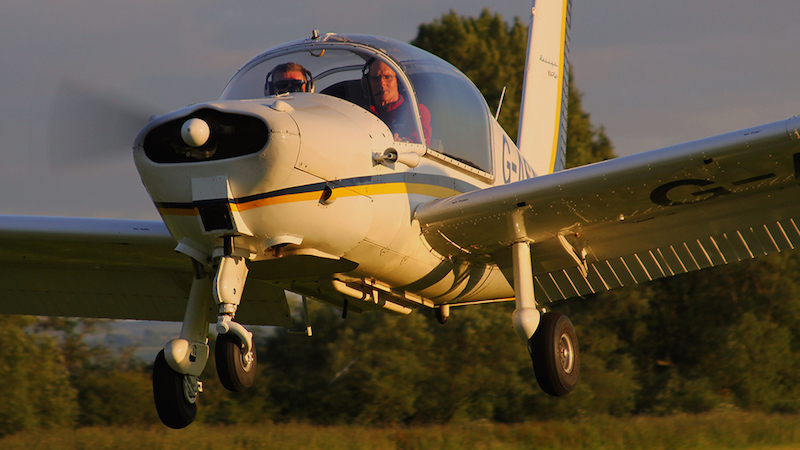 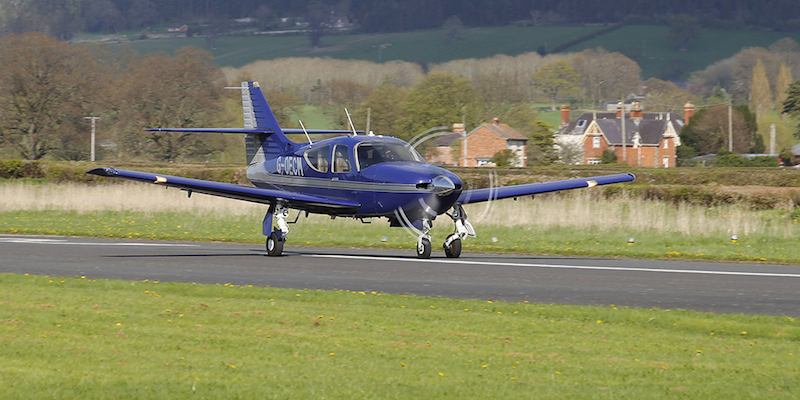 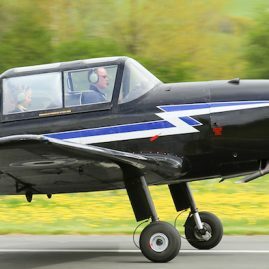 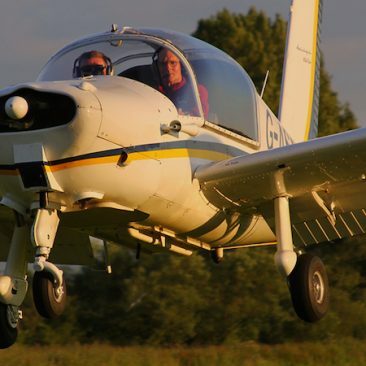 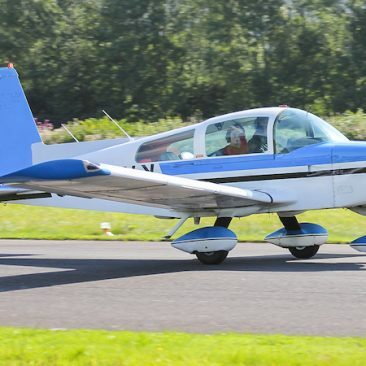 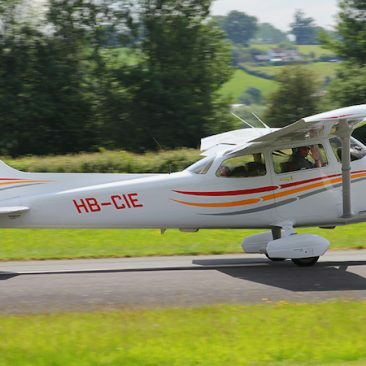 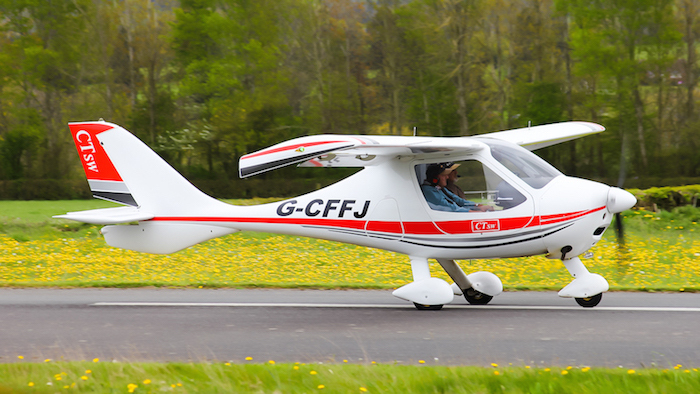 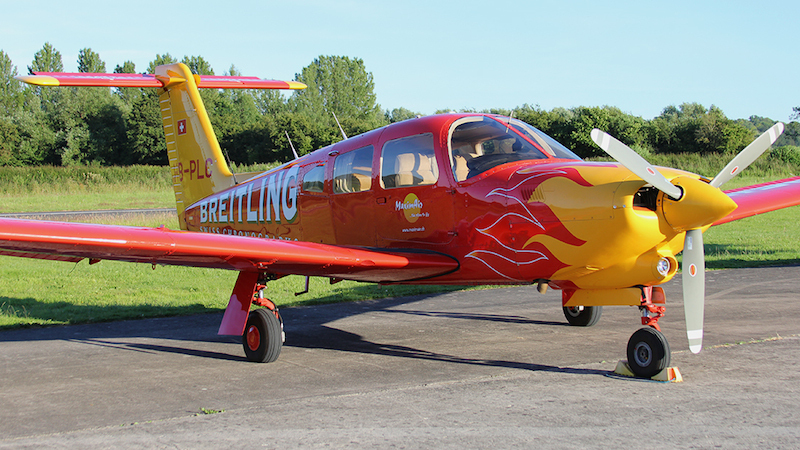 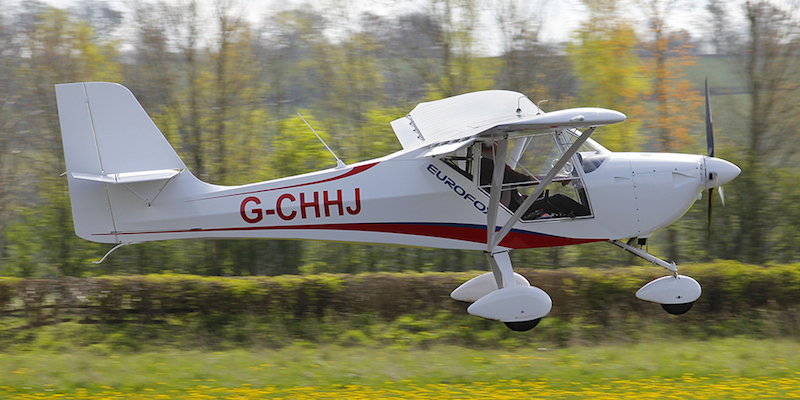 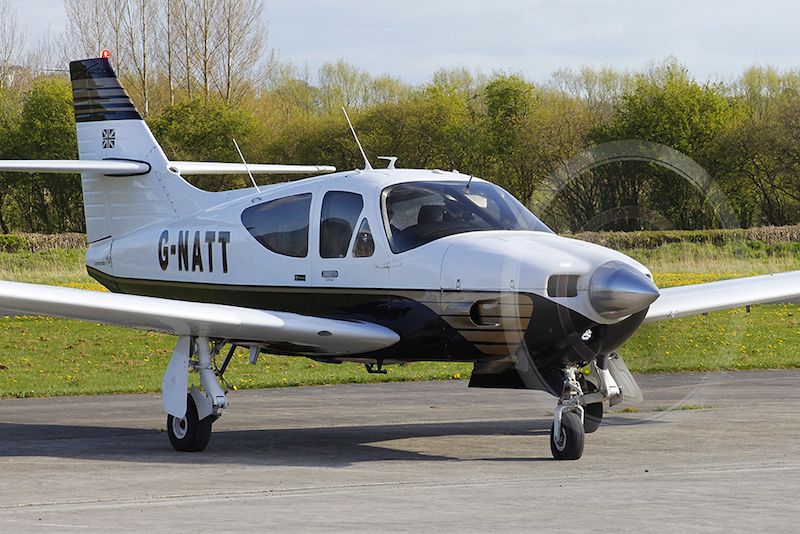 Stuart Hatheral took delivery of the first registered Spacek SRO SD-1 Minisport in the UK. 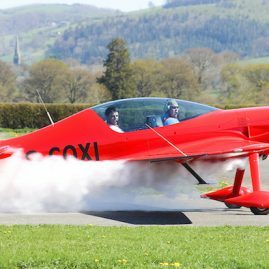 You wouldn't expect the world's aircraft to converge on Welshpool over the winter, but that it what seems to be happening. 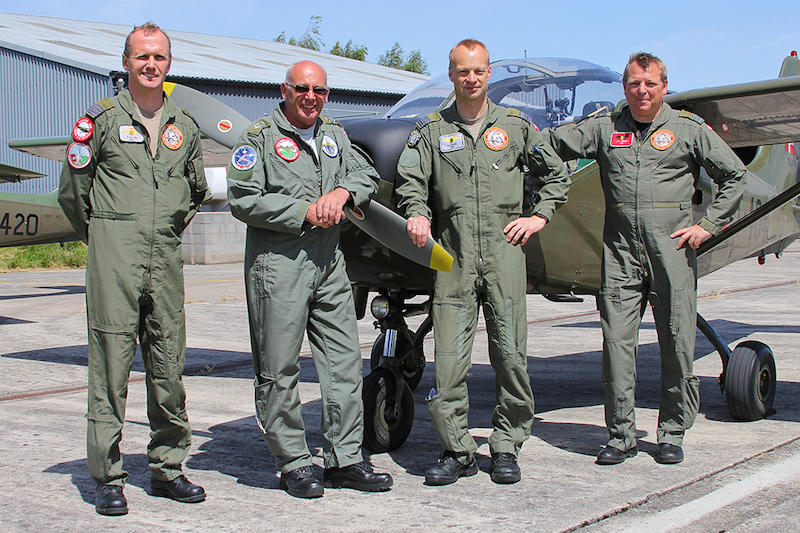 Visitors from France, Germany and the Isle of Man were joined by the US built Christen Eagle II. 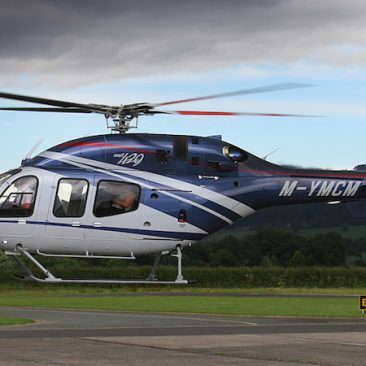 Meanwhile, as-local-as-they-come Martin and Peter went for an evening jolly to Snowdonia. 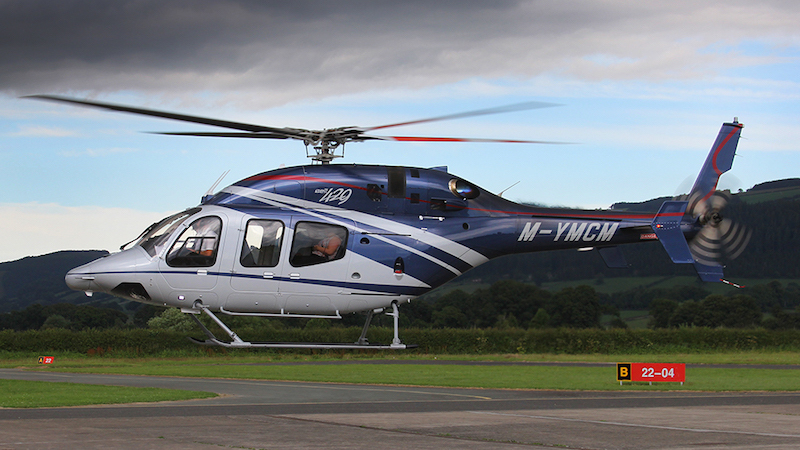 This year's Wales Rally seemed to attract more helicopters that cars, or at least that was the view from Welshpool. 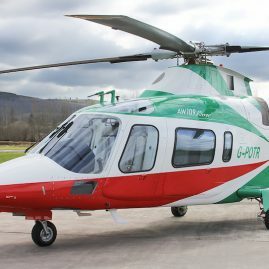 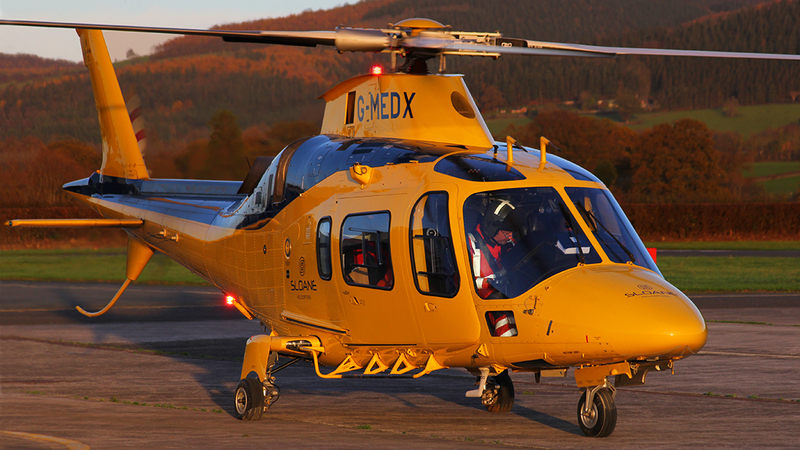 G-MEDX - Agusta A109E. 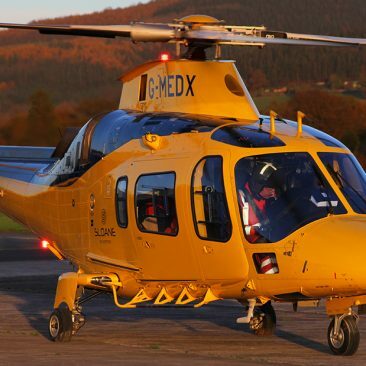 Air Ambulance. 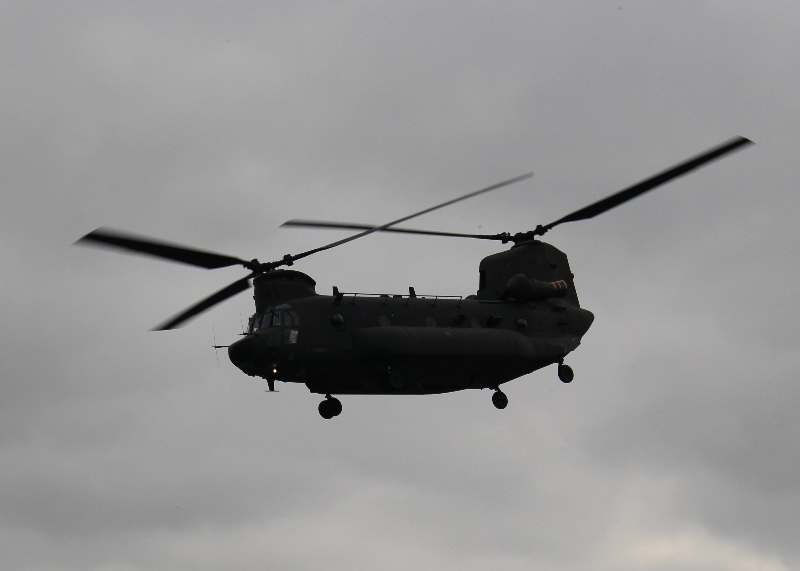 This is one of two Chinooks that recently in formation. 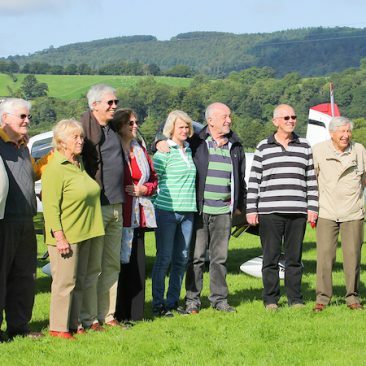 It’s always a please and we hope to see them once again soon! 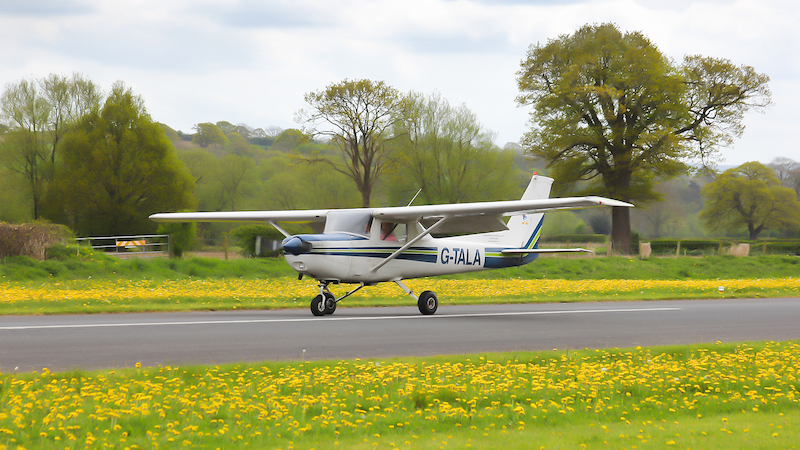 Thanks to John Davidson for the photo. 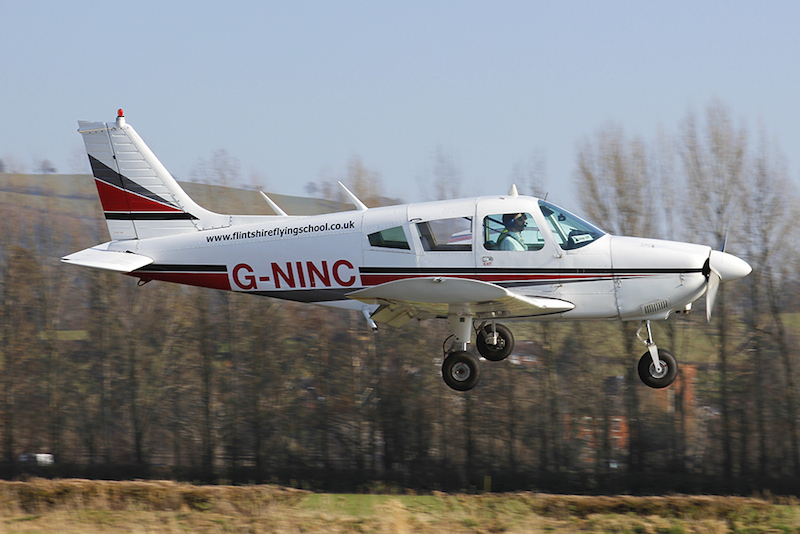 Many thanks to Brian Nicholas for these snaps of our recent visitors. 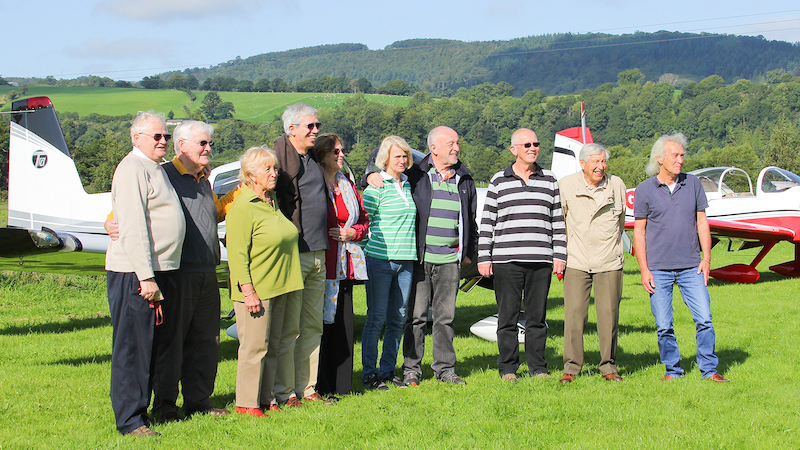 If you have a great picture of a visit to Welshpool, don't be afraid to send it to us! 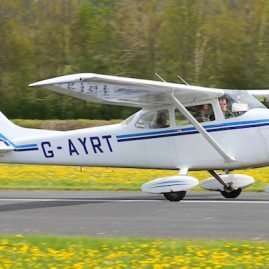 Our favourite photographer has been busy snapping away at our recent visitors and has amassed quite a collection – including Scooby Doo! 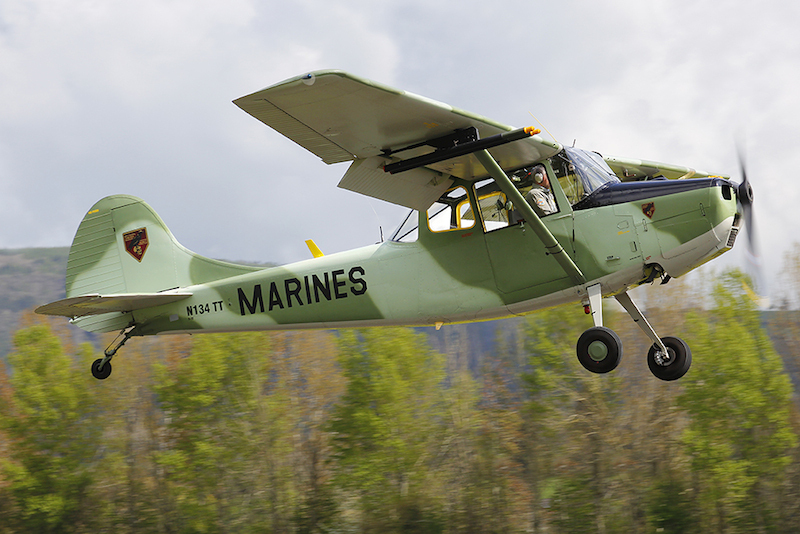 N134TT - Cessna O-1E Bird Dog, not a copy from C170 from which it was developed. 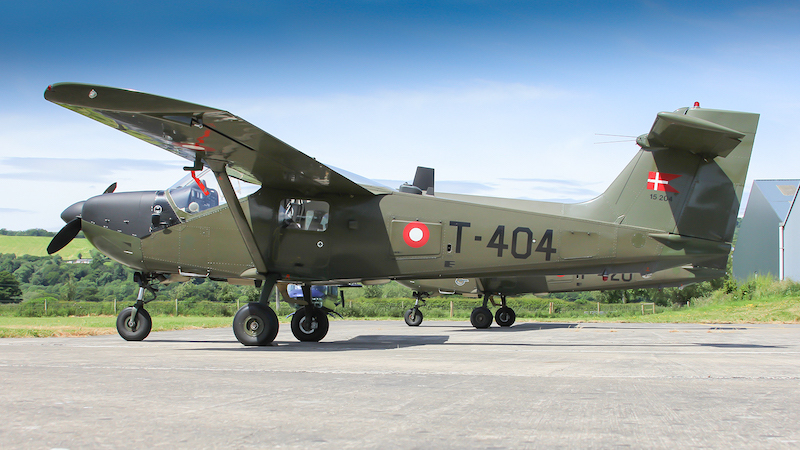 Built in 1957 for Armee de I’air in Algeria. 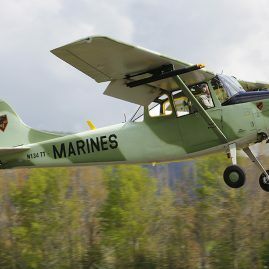 In the markings of US Marines typical of the Vietnam War era. 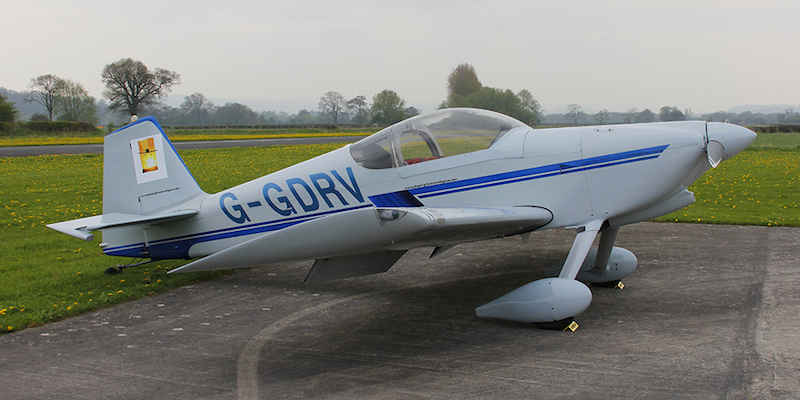 G-GDRV - Vans RV-6, on 8th April 2006 piloted by Manuel De Queiroz completed a solo round the world flight a total distance flown was 27,052 miles and hours flown as it touched down at Gloucestershire Airport was 165 hours and 19 minutes. 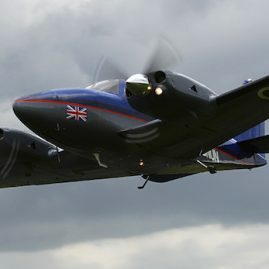 G-BNUN - Beech P59P Baron, in the markings of British Midland, with out the tail logo. 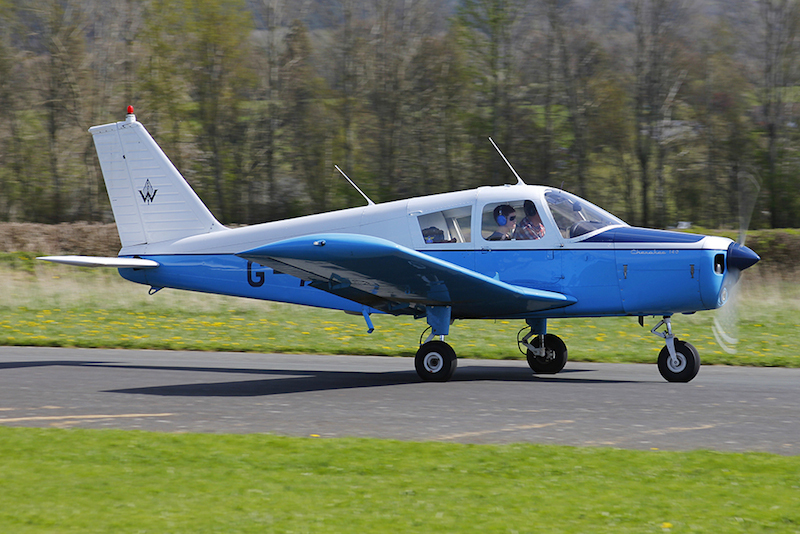 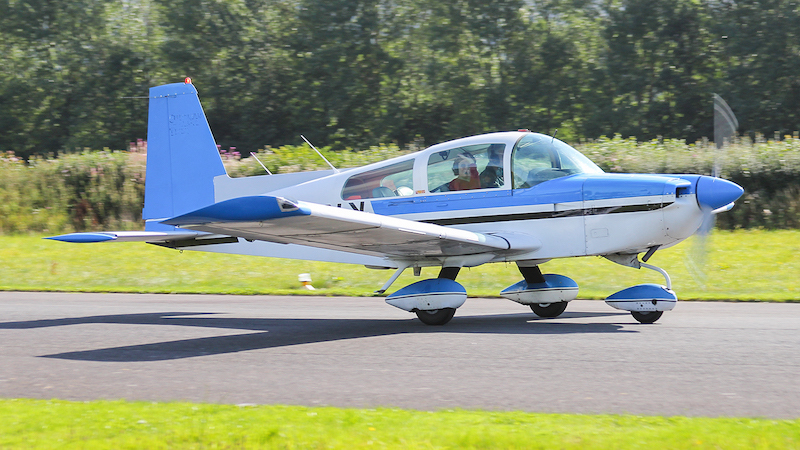 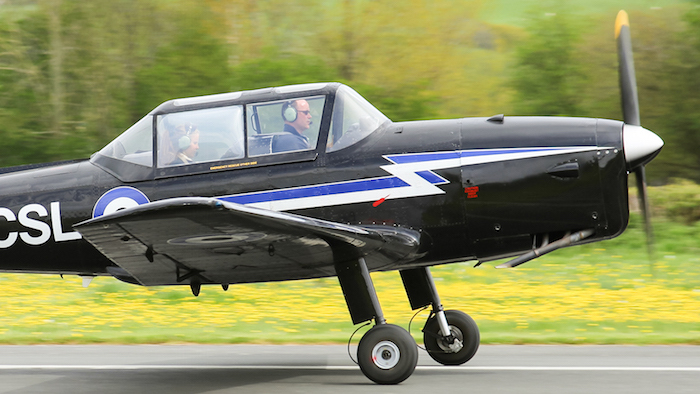 WK512 - DHC-1 Chipmunk 22. 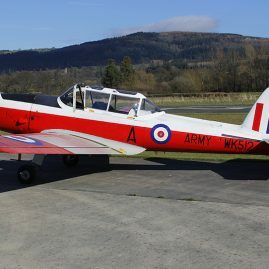 Built in 1951 in the colours of the Army Air Corps. 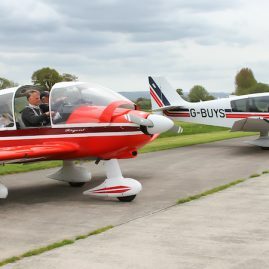 G-ASAU - Welshpool's, Juliet Tango Group Moranne Saulnier Rallye Club. 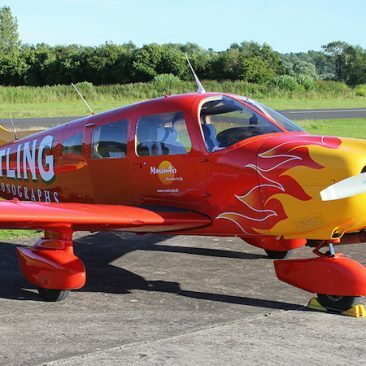 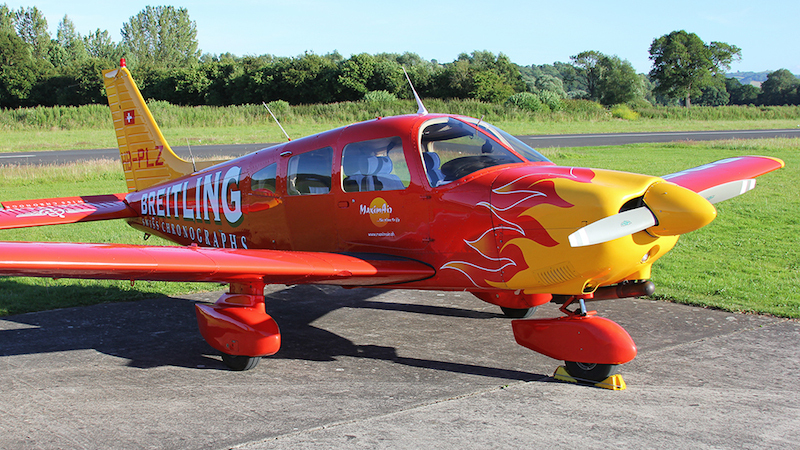 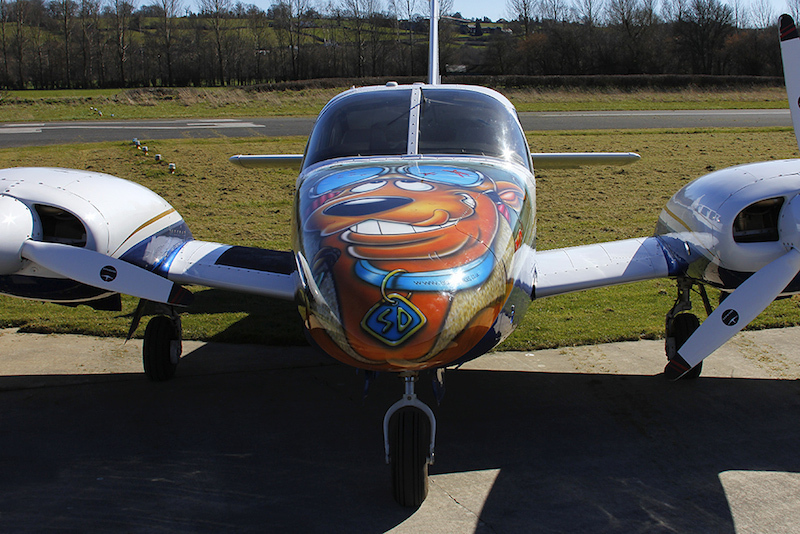 Piper PA-34 Seneca II with a bit of Body Art. 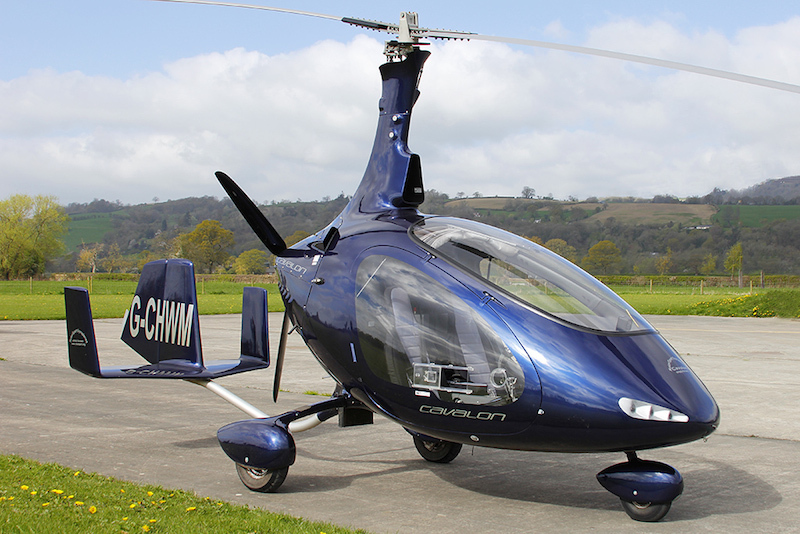 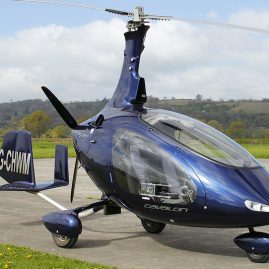 G-CHWM - Rotorsport UK Cavalon. 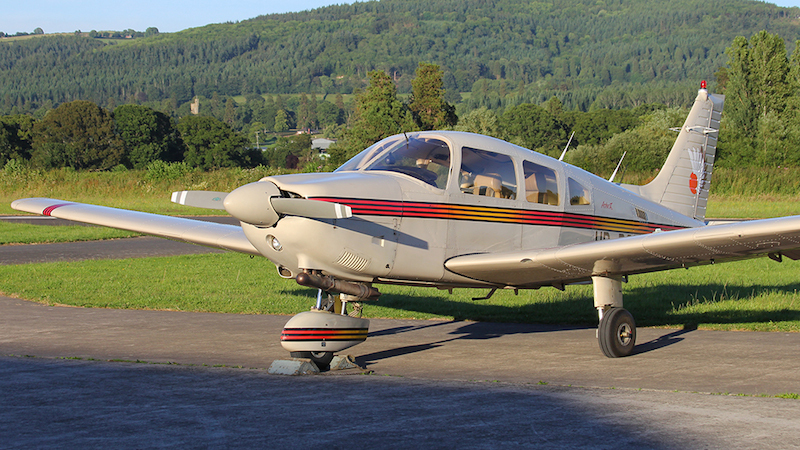 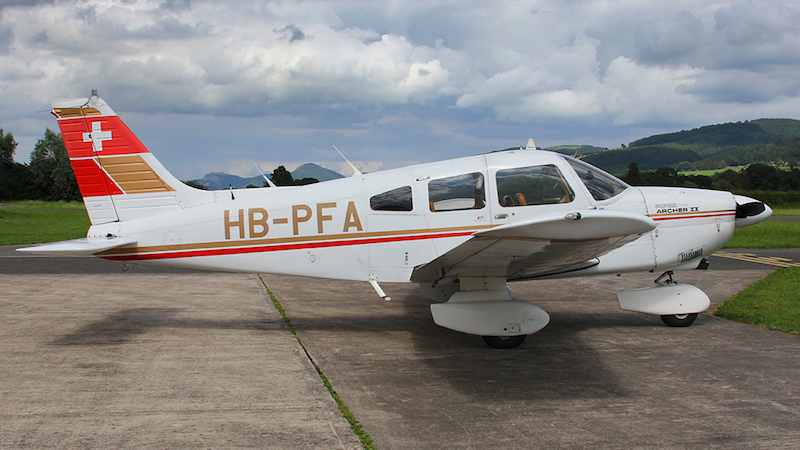 Piper PA-28 Cherokee, looking in good health. 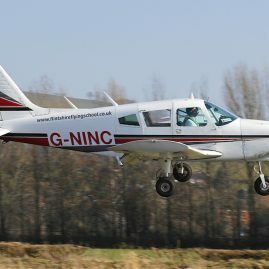 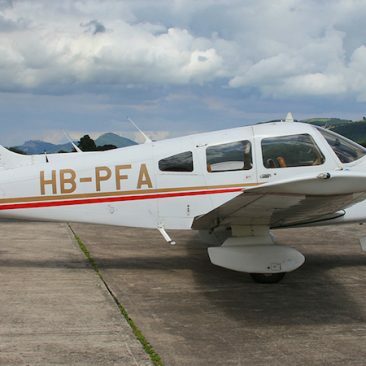 G-NINC - Piper PA-28 Cherokee. 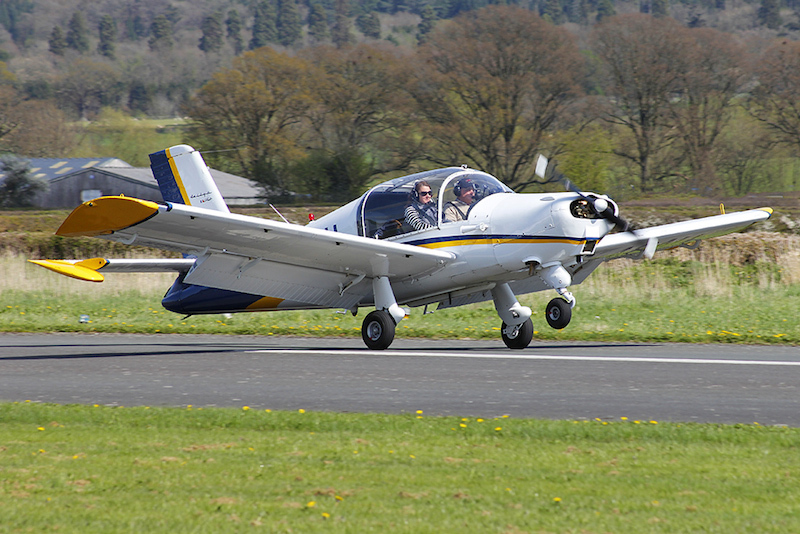 Flintshire Flying School, just about to do a touch and go. 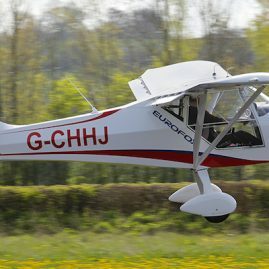 G-OECM - Commander 114B. 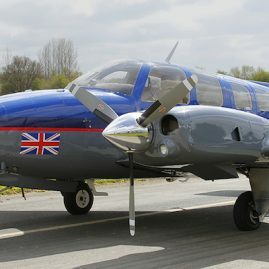 Departing on its way home. 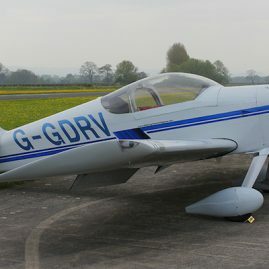 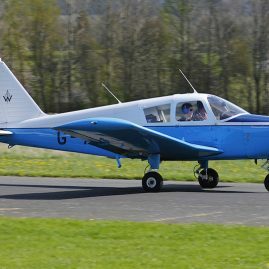 Slingsby T61F Venture T Mk2. 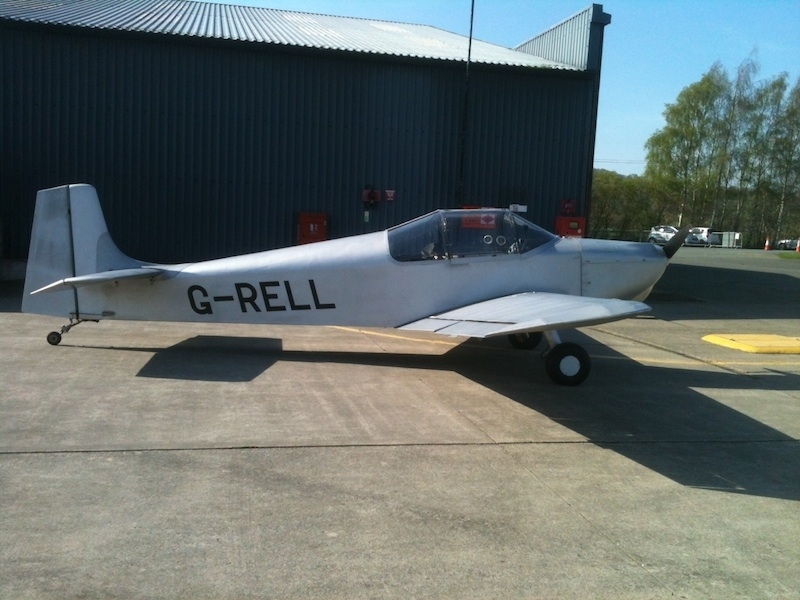 This lovely D62 came to visit us to take in our sunny warm weather. 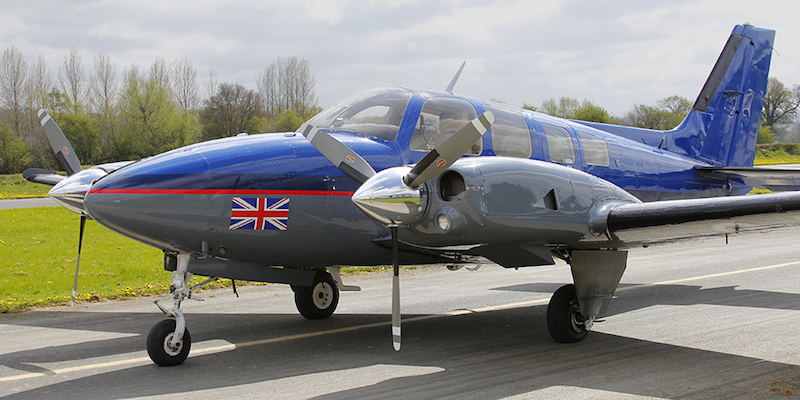 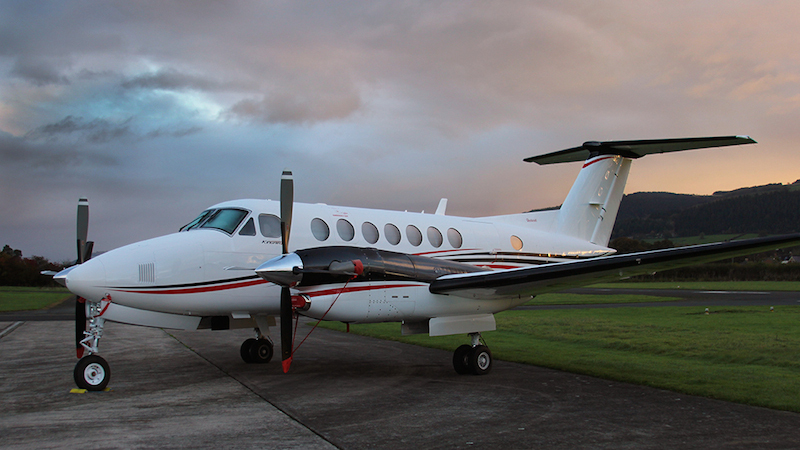 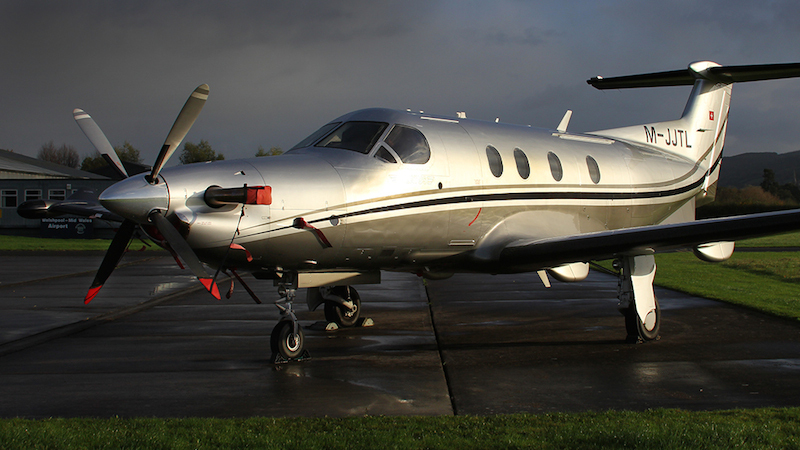 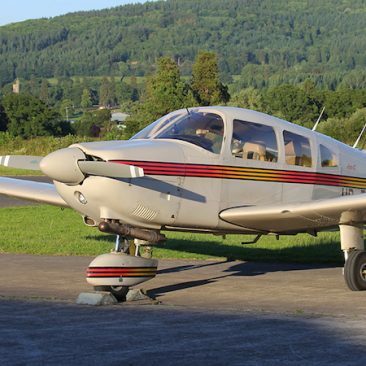 The Condor was developed by Norman Jones of Rollason Aircraft & Engines from an earlier French design. 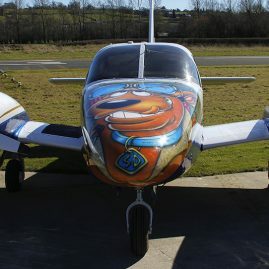 Proud of his independence and lack of government funding (and in no way taking a swipe at the French), Norman Jones painted onto one of his early Condors “This aircraft is British Made – Private Enterprise and No Taxpayers Money”.